Diamond Doors has been serving the bi-fold door market for almost 20 years. The business has always produced a very high quality product but has struggled communicating that fact, and communicating consistently through their suite of communication tools. Their best communication has been at trade shows with working door components and knowledgable staff present. Through meetings we discovered the main variables that impacted each target markets buying decisions. We took one brochure and split it into 3, targeting the top 3 industries that Diamond Doors sells into. 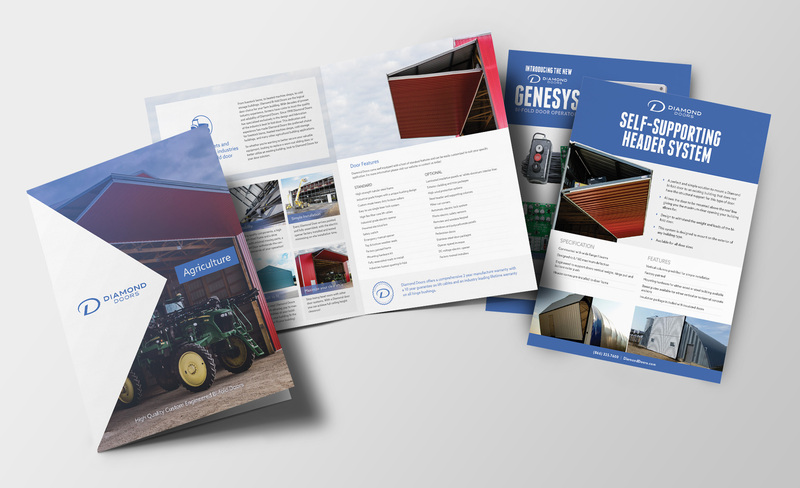 Brand new messaging was created for each brochure to touch on the top influences each industry weighs out before buying. Pixels also developed a brand new trade show booth concept with interchangeable components to target the industry group that would be attending trade shows. 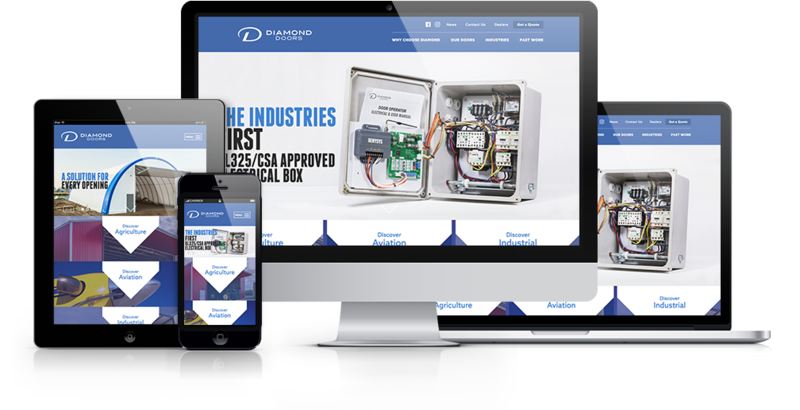 A new website was developed to ensure consistency in communication as well as to bring their online presence up to date. Lastly, but definitely not least, we updated the branding. The changes were subtle, but made a large impact on how the logo mark and word mark are displayed. 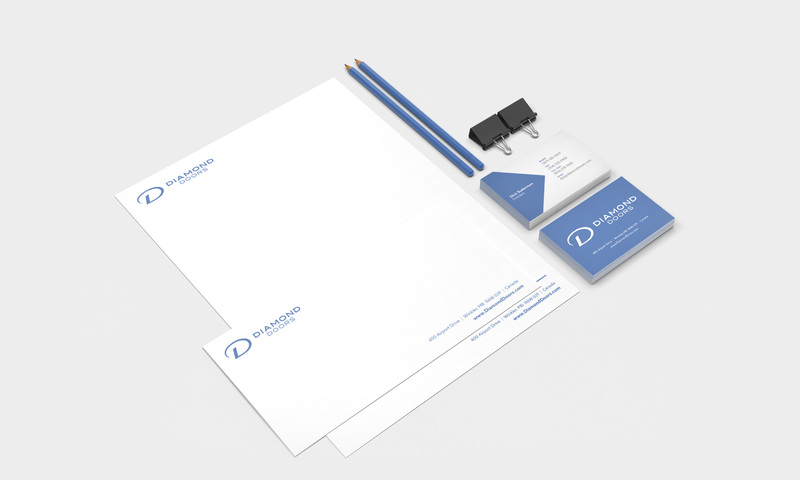 The update and solidification of the colour for the brand also exudes strength and professionalism. We are truly proud of the work we have done and count ourselves fortunate to work with such a great company. Diamond Doors is truly a model company.